Travel North from Wellington to Auckland stopping on the way to take in Napier, Rotorua and the deep caves of Waitomo. Daily departures. A relaxing 6 day train tour of the North Island from Auckland south, including tours of Wellington, Napier wine district and Rotorua. 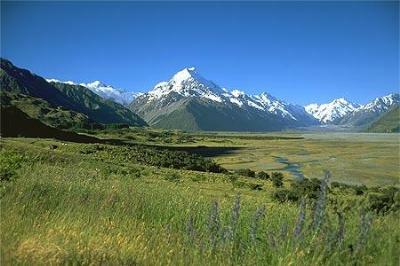 FLASH PACKING 6 Day Adventure Tour New Zealand - departs EVERY Monday, Wednesday, Friday & Saturday. Daily departures. The picture perfect South Island. A trip of scenic alpine wonders, fiords and glaciers all from Wellington. Commencing in Auckland this nine day tour explores the North Island. 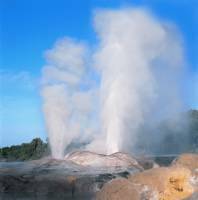 You can experience the geothermal wonderland of Rotorua, have fun on Lake Taupo and admire Napier food and wine, the tour concludes in Wellington the capital of NZ. The road to Milford Sound is one of the worlds finest alpine drives. Through the Eglinton and Hollyford Valleys, Homer Tunnel to be met by Mitre Peak towering from the glassy waters of Milford Sound, it is the most famous and most accessible fiord. Departs Daily. The majestic beauty of the South Island is a must for any visitor to the South Island and one of the best ways to view the spectacular scenery is aboard a Great Sights luxury coach. Departs Daily. 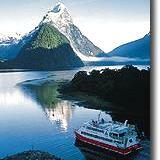 A perfect introduction to the spectacular sights and stunning landscapes of the South Island.